Ever since Bhushan Kumar has urged people to make the world's biggest YouTube channel, fans as well as Bollywood celebs have left no stone unturned in lending their support to make Bharat number one. 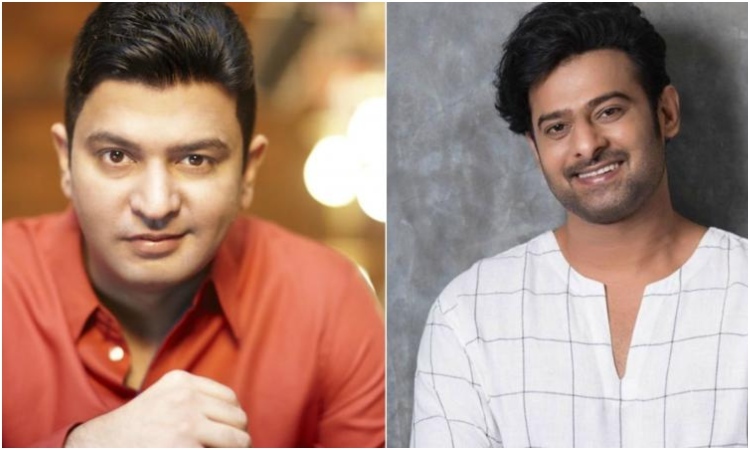 After Salman Khan, Aamir Khan, Varun Dhawan and many other celebs, Pan Asian Superstar, Prabhas has joined the league as he took to his Facebook convgratulation Bhushan Kumar. Prabhas posted saying, "Congratulations to Bhushan Kumar & the entire team of TSeries for becoming the biggest YouTube channel in the world ! T-Series is associated with the music industry since the past three decades, having an exhaustive catalogue of music across languages and genre. Exactly 22 days after Gully Boy's release Zoya delivered one of the most path-breaking OTT shows with Made in Heaven. Zoya Akhtar always presents projects to the audience which are not only entertaining but also emotionally engaging. While the audience was still absorbing the emotional journey of Murad in Gully Boy, Zoya Akhtar made her digital debut with a bang and is winning hearts all over again. Basking in the success of Gully Boy, the director made her debut on the magazine cover as well, she graced the March issue of Cosmopolitan. Zoya Akhtar's Gully Boy has become a rage across the nation making every character resonate with the audience. Even before the release of the film in India, Zoya Akhtar's Gully Boy garnered immense accolades in the coveted Berlin Film Festival. Zoya Akhtar's 'Gully Boy' has become a rage across the nation making every character resonate with the audience. Now, with the recently released Made in Heaven, Zoya made her debut in the digital space as well. The Zoya Akhtar and Reema Kagti creation traces the journey of two wedding planners and unveils the scandalous reality behind the big fat Indian weddings. The woman with the Midas Touch, Zoya Akhtar has wowed critics with Gully Boy with raving reviews making news across all quarters already. Over the years, Zoya Akhtar is known to treat the audience with a strong male character driven film which has slayed at the box office along with critical acclaims. Salman gifts Katrina an EXPENSIVE... This VIDEO from Behind the scenes of Notebook is just adorable!